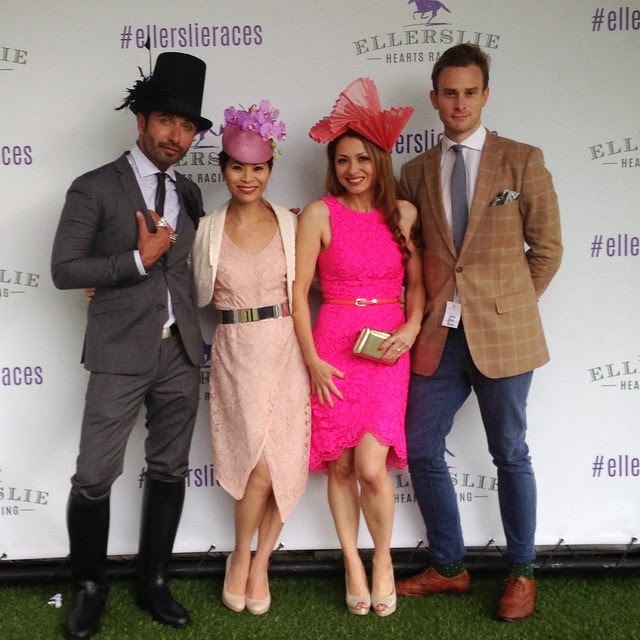 L-R: Karen Fenton Ellis from Trackside TV, Kylie Robertson from Pernod Ricard, Media Personality Colin Mathura-Jeffree with Natalie all wearing Natalie Chan millinery. Karen is wearing a black pillbox with an organza bow and veiling, Kylie's outfit is complemented with an apricot button with an oversized flower and quill sticks. Colin is wearing a tophat and boutonniere adorned with black feather detailing, and Natalie is wearing a purple beret with orchids. 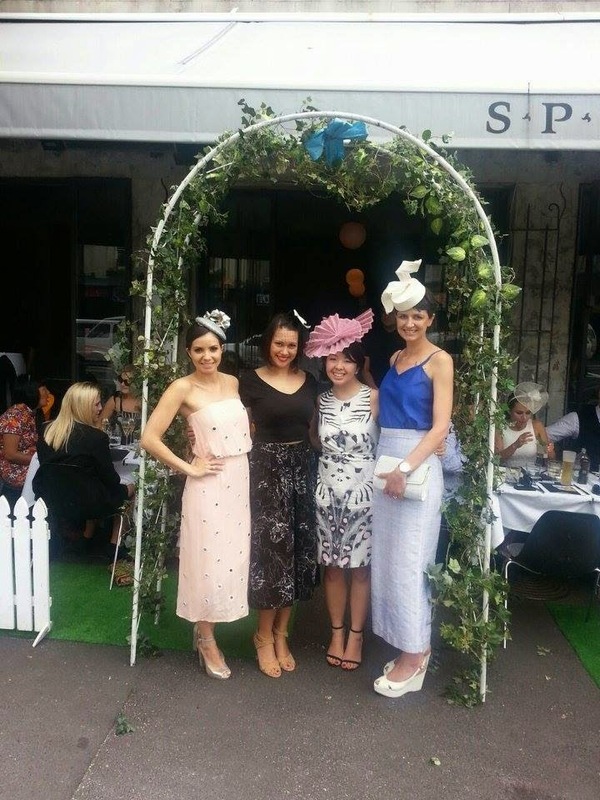 The lead-up to Melbourne Cup 2014 was our busiest yet, as we had ladies come into the boutique to pick hats to attend various Melbourne Cup functions around Auckland and also those lucky enough who were jetting off to Melbourne. Natalie was a guest at Soul Bar down in the viaduct, who hosted a very glamorous crowd at their venue for a sit down lunch. 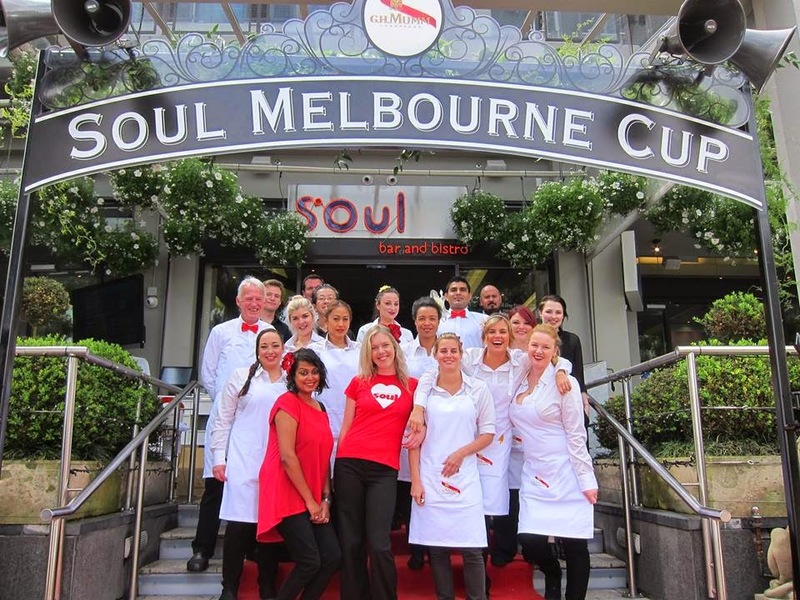 The staff at Soul all wore red Natalie Chan rosettes in their hair to commemorate the day! The lovely staff at Soul bar! Juliana wears a bespoke Natalie Chan yellow pleat headpiece. 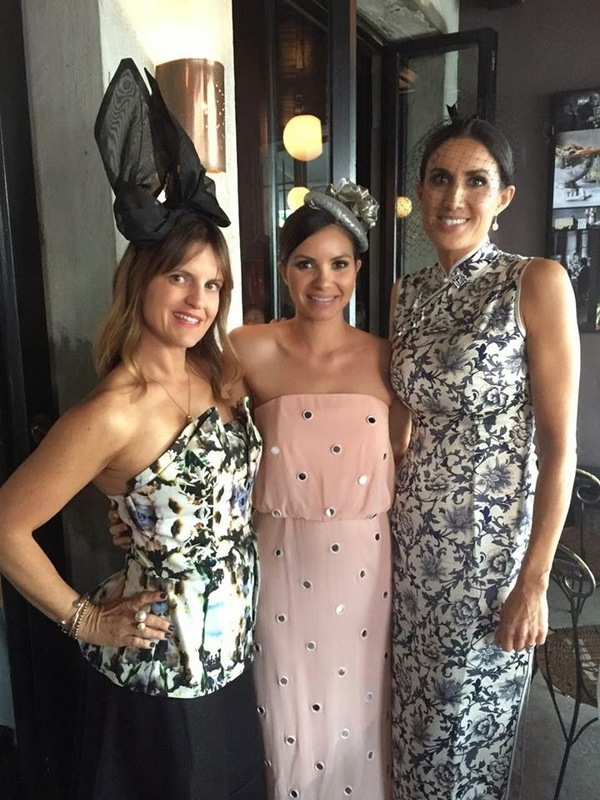 Jacqui on the right was a guest of Trelise Coopers and is wearing a Natalie Chan headpiece. Natalie with the lovely Karla Goodwin from Bluebells Cakery, both ladies are wearing Natalie Chan dresses and millinery. 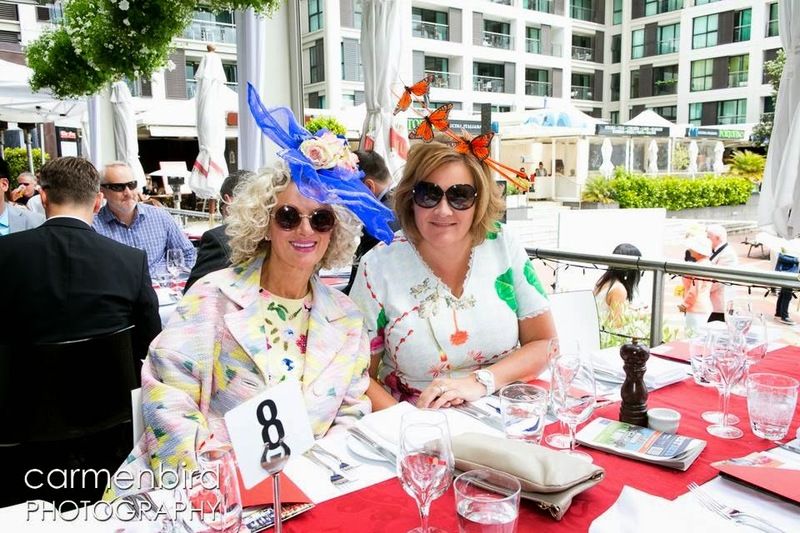 Meanwhile the other half on the Natalie Chan team, Linda and Frances were lucky enough to attend the inaugural Melbourne Cup function at SPQR. The 4 course meal was amazing and we had a great time. 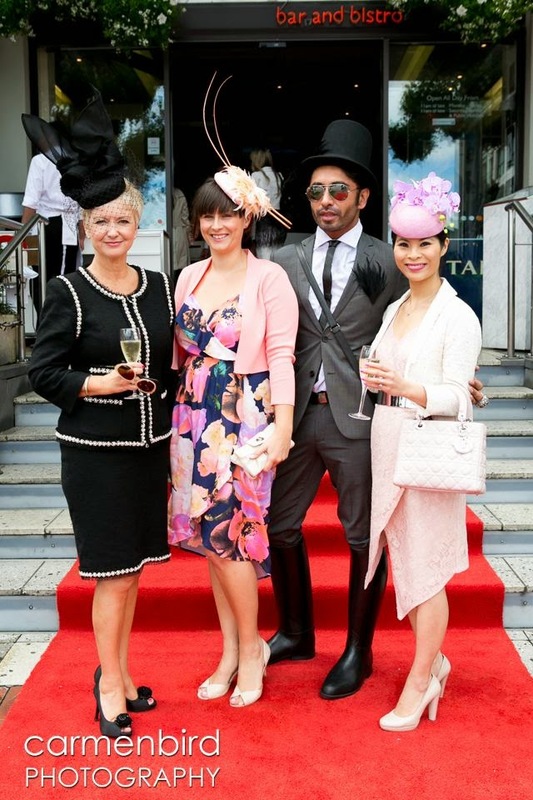 L-R: SPQR's Courtney with Linda's friend Noosheen, Linda and Frances all wearing Natalie Chan millinery. Also at SPQR were Nikki Kelly from Dry and Tea and jeweller Lindi Kingi. All ladies are wearing Natalie Chan millinery with Nikki wearing silk organza ears, Courtney in a silver sequin button with large roses and Lindi with a black netted veil. Fashion stylist Lulu Wilcox picked Lindi as the best dressed of the day! Natalie was a busy lady as her second commitment of the day saw her off to attend the Sofitel Luxery Hotels Melbourne Cup Day at Ellerslie racecourse. Colin and Natalie are joined by stylist Michiko Hyland and chef Sam Mannering. Michiko wears a Natalie Chan coral pleat headpiece. 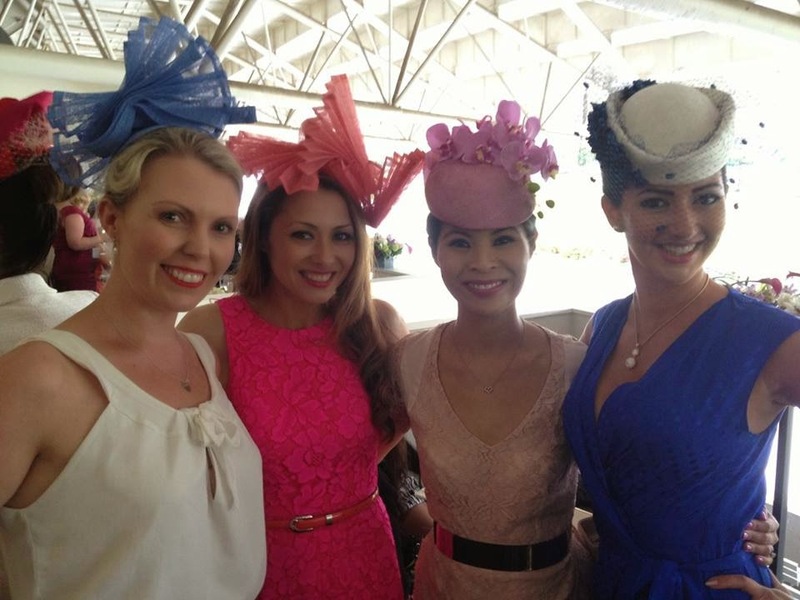 L-R: Our PR Manager Nicola with Michiko, Natalie and Sybelle who is wearing an exclusively new Natalie Chan hat. 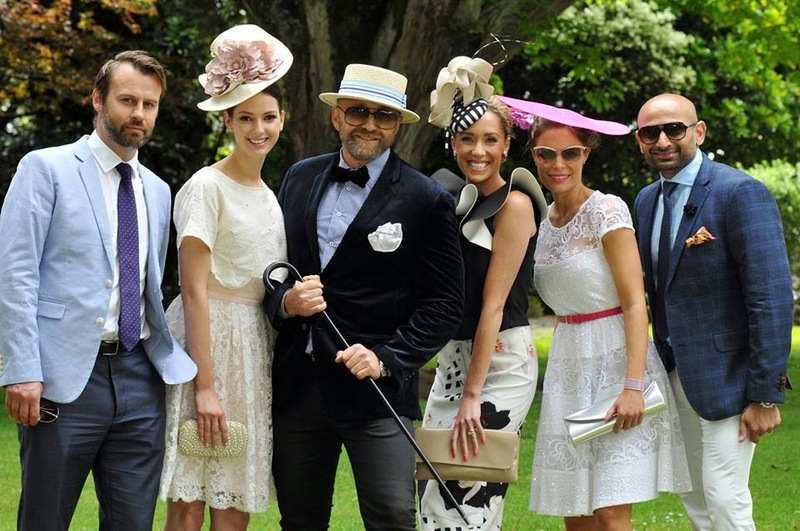 This stylish group were handpicked as the best dressed of the day! 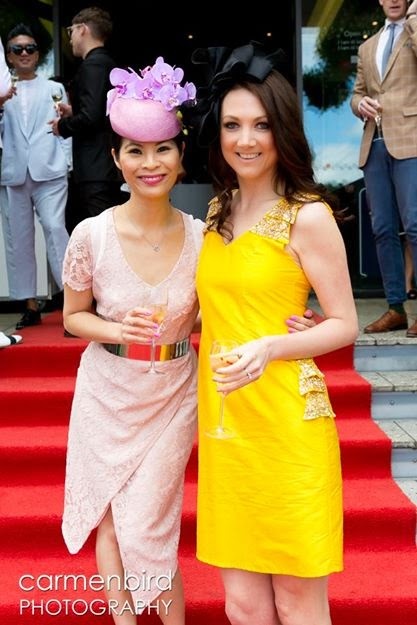 On the left we have Danjela wearing a Natalie Chan dress and hat, with Stephanie on the right also wearing a new Natalie Chan headpiece. They are with some very dapper gentlemen and milliner Claire Hahn (center). Over in Melbourne we had great envy as friends and clients were there in amongst the festivities. Megan stumbled upon our boutique while visiting Auckland and traveled home with a Natalie Chan pillbox hat! Editor of Mindfood Magazine Carolyn Enting is in great company with renowned milliner Richard Nylon. Cathy from Pernod Ricard and Carolyn enjoying a glass of Mumm champagne! Cathy from Pernod Ricard is wearing a lace and satin Natalie Chan dress with a pleated headpiece also. Melbourne Cup has well and truly kicked off the racing season with Christchurch Cup on as we speak, and we are back at the HQ replenishing our stock levels in time for the next lot of racing events!